Grosset & Dunlap. Hardcover. B0007GN2ES Missing dust jacket; otherwise in excellent condition. Acceptable Condition. Five star seller - Buy with confidence! . Fair. Grosset & Dunlap. Used - Acceptable. Former Library book. Shows definite wear, and perhaps considerable marking on inside. grosset. Hardcover. A nice book from private collection. Clean, tight, square copy with only typical / light used wear. A nice copy over all. NOT Ex-Library. NOT Remainder. . Very Good. 1957. Bantam Books. PAPERBACK. B0007GVWDQ Fast handling - Orders prepared for Shipping Next Business Day! . Fair. Bantam Books. Used - Acceptable. Acceptable condition. Corner clipped. 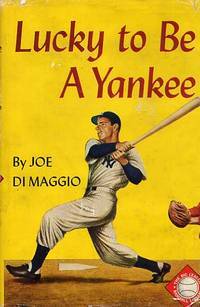 N.y.: Bantam Books, 1949. soft cover is in good condition even though the front cover is missing two inches off bottom . the copy is unmarked and tightly bound. still a nice old copy. is a copy of the great slugger's own story !!. Mass Market Paperback. Good/No Jacket. New York: G. P. Putnam's Sons, 1975 First Printing of the first Edition. Putnam's Sports Shelf Biography series. A biography of Ferguson Jenkins, one of only four pitchers in the past fifty years to win twenty games for six consecutive years. Book and dust jacket in fine condition.